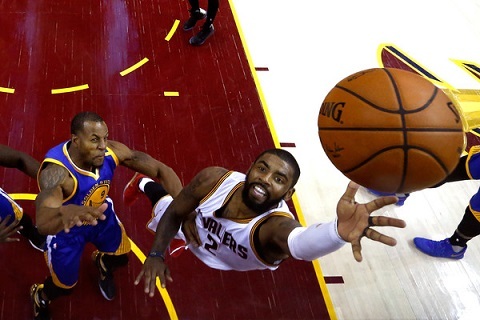 What Kyrie Irving wants to do with his life is up to him. But that doesn’t mean we’re not watching and following closely what is happening to his interesting summer. Irving has earlier been reported to be irked and tired of being the Robin to LeBron James’ Batman in Cleveland. His solution? Ask the Cavaliers’ front office for a trade. Irving is two years away from free agency and the only way out of Cleveland for him is via trade. For now nothing has yet to happened. The gears of his status remain in the same position. But given the apparent tumultuous relationship between Irving and the Cavs, we may just see Irving suiting up for a different team next season. Irving’s situation has gathered enough steam that sportsbooks have decided to lay odds on which threads the Duke product would be sporting for the 2016-17 campaign. Via Covers.com, one betting outfit BetOnline has the Cavs still favored to retain the services of Irving. According to that bookie, the Cavs are -300 to keep Irving, while the New York Knicks are at +600 and the Minnesota Timberwolves at +1,400. The odds are just the same over at MyBookie.Ag, as the site offers a price of -300 for the Cavs. The site also gives the San Antonio Spurs a price of +650 to coax Cleveland into coughing up Irving, while Boston Celtics are at +1,000. Ready to bet? Create a betting account now. 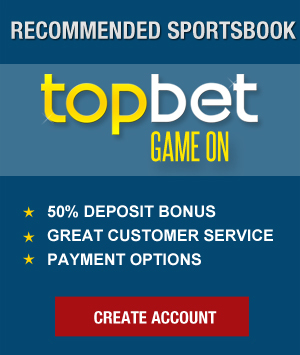 You can choose one from any of the sportsbooks we’ve listed on our sportsbook reviews section.